Welcome spring by serving a lemony pie topped with oh-so-appropriate flowers. Fresh herbs and edible flowers garnish the frozen pie in a ginger-shortbread crust. 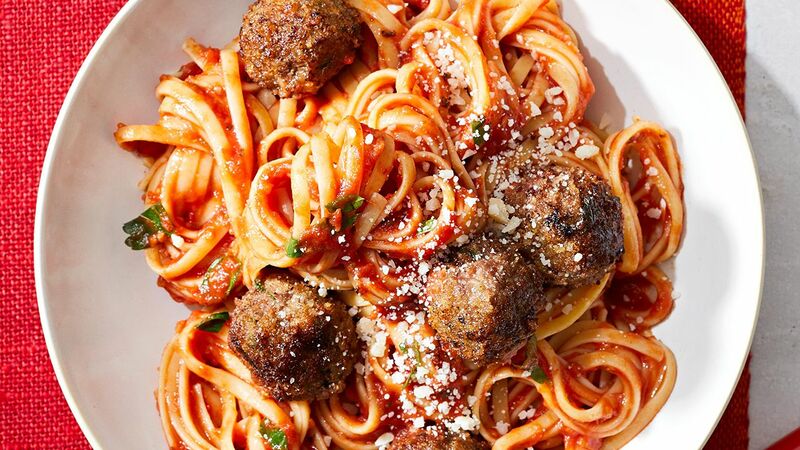 Whole milk ricotta is the secret ingredient to the moist centers of these Italian meatballs. A panko coating and quick frying time are key to their crispy exterior. The result is a crispy and tender meatball that goes great on pasta, in hoagie buns, or simply on a plate with a fork. 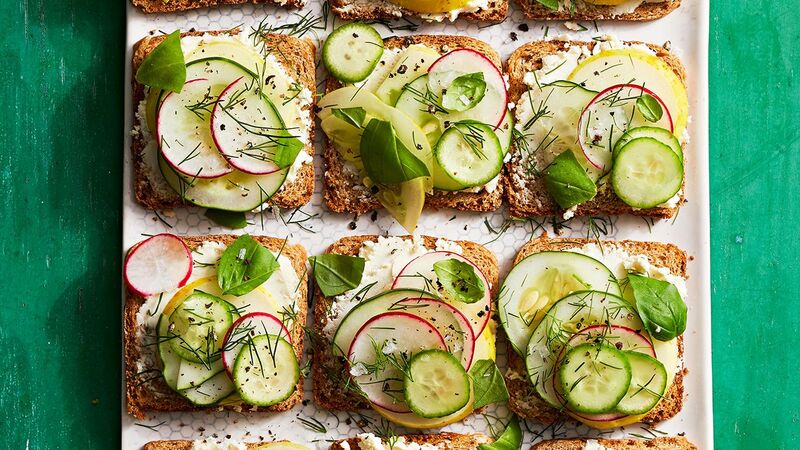 Even if you don't have a tea party planned, you should let these petite sandwiches inspire you to host some kind of gathering. They make wonderful party appetizers because they only require five ingredients and 10 to 15 minutes of work. This method of cooking chicken is so easy and results in such juicy meat that you may never make it another way ever again. 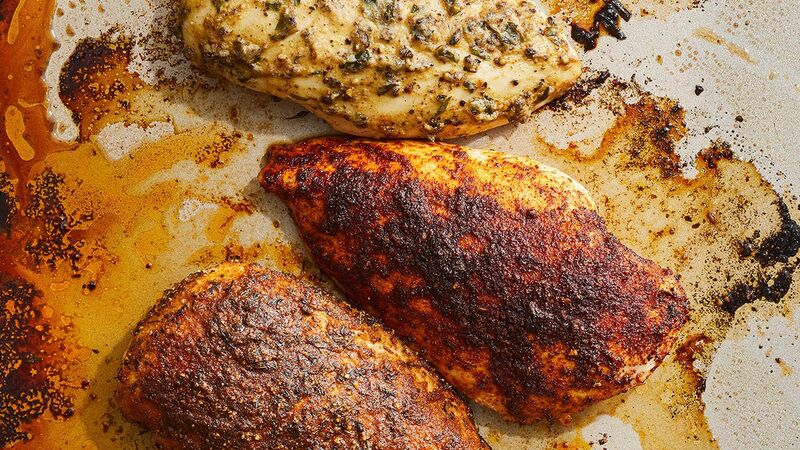 Place seasoned chicken breasts into a cold oven. Crank the heat to 450°F and bake. Serve them hot out of the oven as is or add to any recipe calling for cooked chicken. 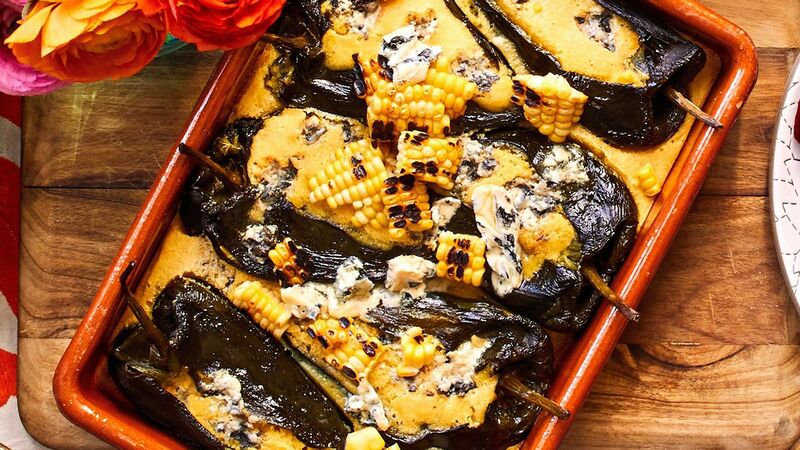 A potluck side dish that serves 10 and doesn’t require refrigeration? Sign us up. 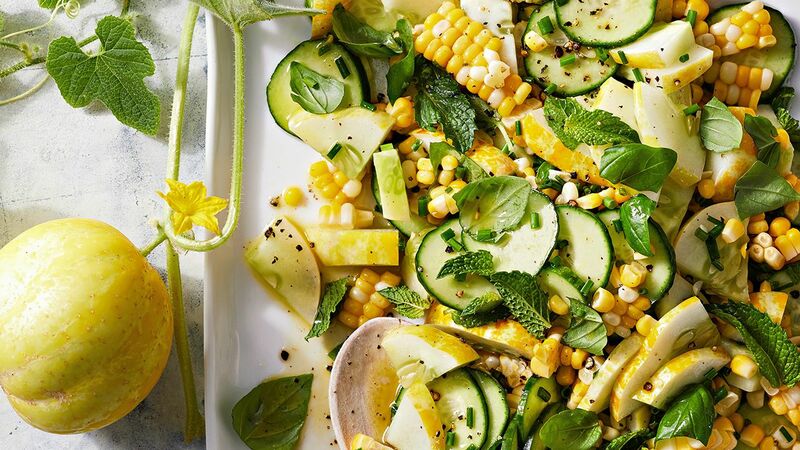 Sure, this cucumber salad is best chilled, but you can set it out at an outdoor potluck without worrying about it getting too hot to be safe. So you can stay cool as a cucumber. Add this deep-dish cookie to the top of your list of must-make cast-iron skillet desserts and you’ll never be disappointed. 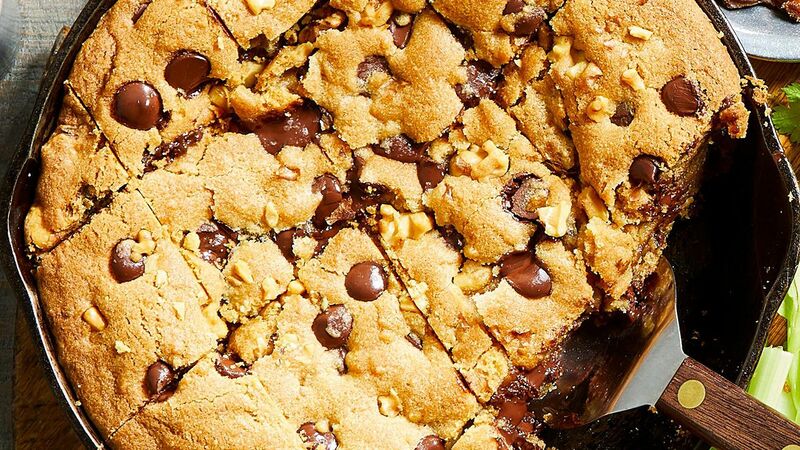 Serve it warm and gooey, straight from the pan with a scoop of ice cream for extra indulgence. 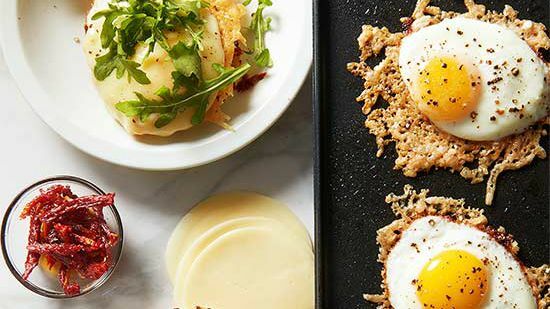 If you love breakfast sandwiches and you love cheese, this breakfast sandwich is about to become your absolute favorite. A fried egg (or over-easy, over-medium, whatever you like) tops a layer of crisped melty cheese, gets topped with more cheese, and then gets sandwiched between toasted English muffins. Watermelon radishes make this side-dish salad recipe stand out visually. (The avocado and fresh mango don’t hurt either.) But the real star is the dressing. A bit of sweetness and thickness from apricot jam combined with chile powder, lime juice, and oil will having you coming back for seconds and maybe thirds. On Cinco de Mayo, give classic strawberry shortcake a distinctive Mexican twist when you mash it up with a tres leches cake. To infuse the tres leches flavor, you’ll pour a warm mixture of three milks over a baked shortcake that you have poked holes in so the milks soak in thoroughly and deliciously. 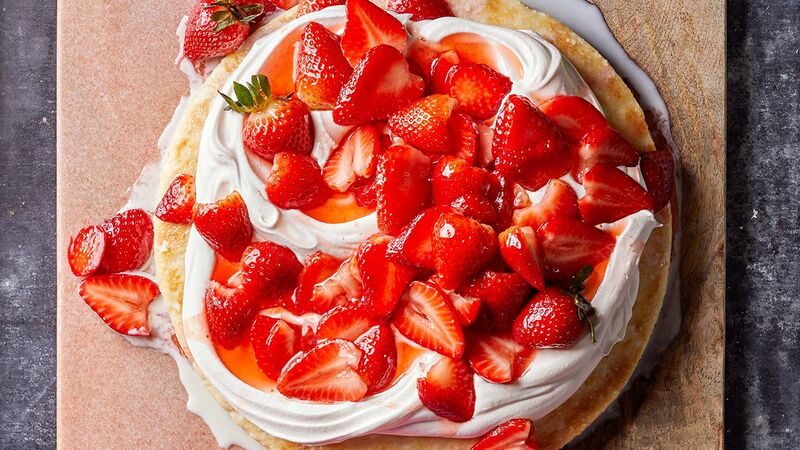 Get our top tips for making strawberry shortcake. 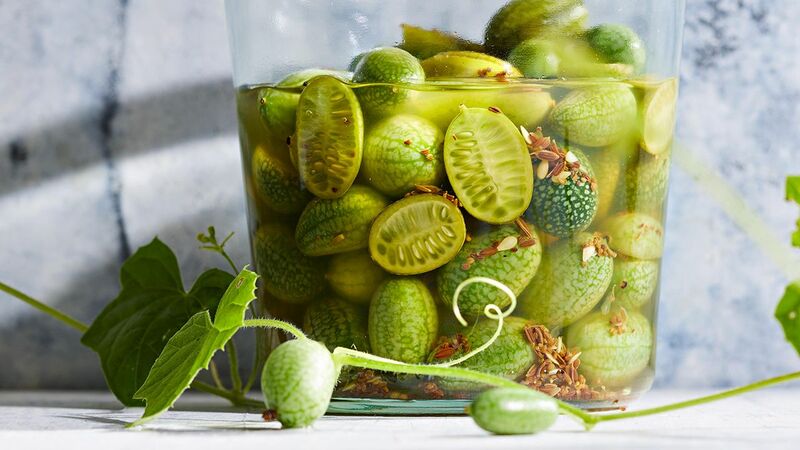 Get your hands on cucamelons so you can make them into quick refrigerator pickles spiced with dill and celery seeds, vinegar, and sugar. It’s a snap. And if you can’t get cucamelons, any other small pickling cucumber will do. There’s no excuse not to make these 20-minute pickles. This common takeout dish comes together in under 30 minutes at home. How is this possible? 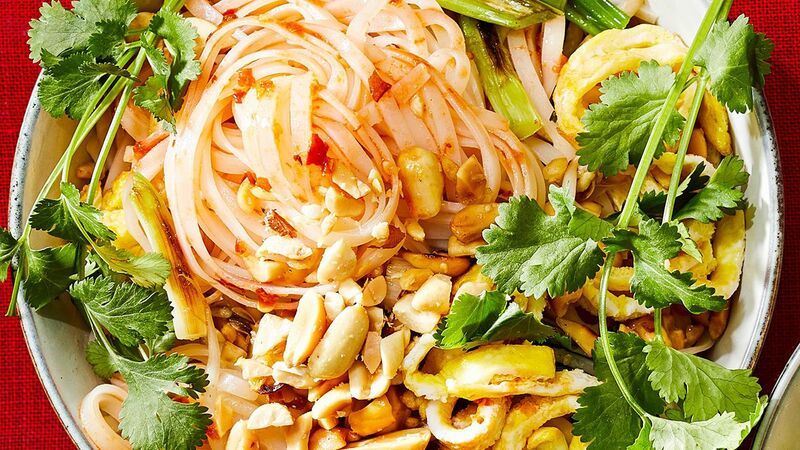 While your rice noodles soak in hot water, you measure a few Asian ingredients and pantry staples and cook two eggs. Then heat everything through and add toppings. Boom, bam, done. These stuffed peppers can be served as a vegetarian main dish or as a hearty side dish for a Mexican feast. Earn bonus style points when you top it with fresh toasted corn kernels immediately before serving. 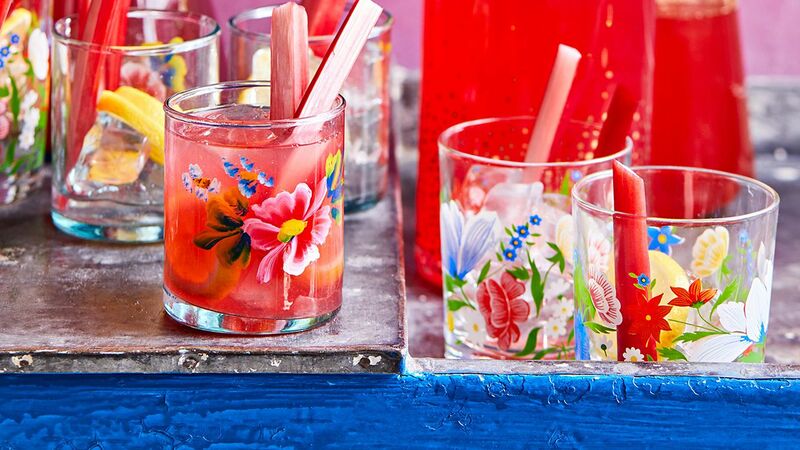 There’s no better drink choice for a Mexican-night menu than agua fresca. It's a subtly sweet, nonalcoholic beverage everyone can enjoy. This take on agua fresca uses rhubarb and lemon for fresh spring flavors, but swap in frozen rhubarb to enjoy it anytime of year. 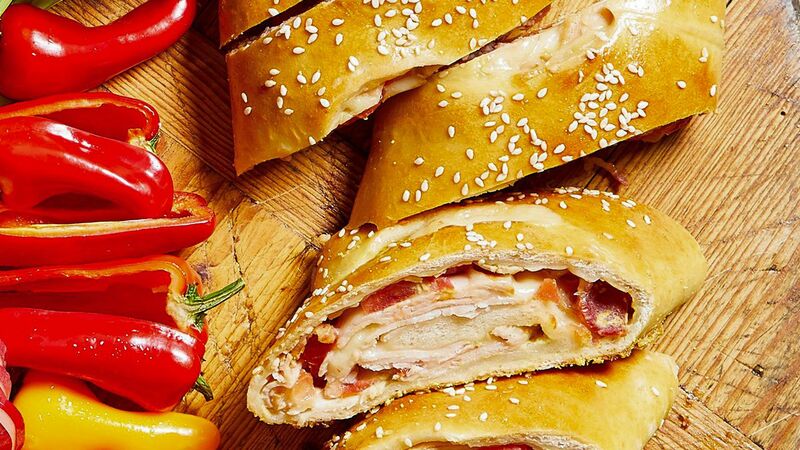 Stromboli looks impressive and, when stuffed with the classic flavors of a hot brown sandwich, tastes impressive. But don't worry. It's easy to make when you start with purchased pizza crust. This simple Stromboli uses only nine ingredients and makes enough to serve eight. 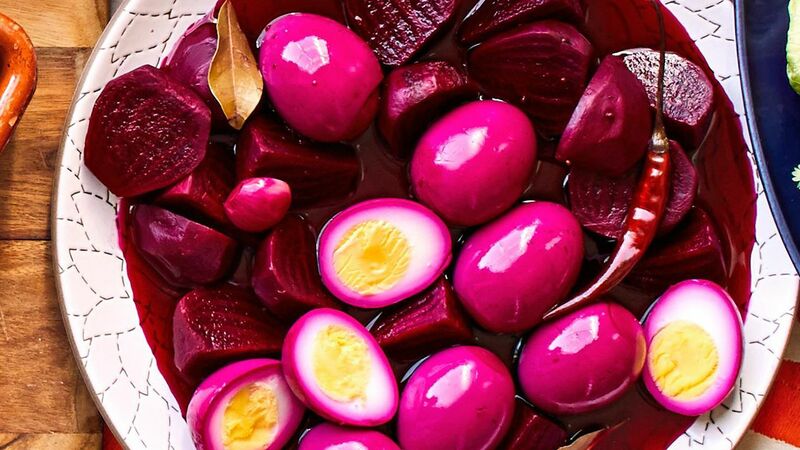 These hard-boiled eggs get their brilliant color from the beets you pickle them with. 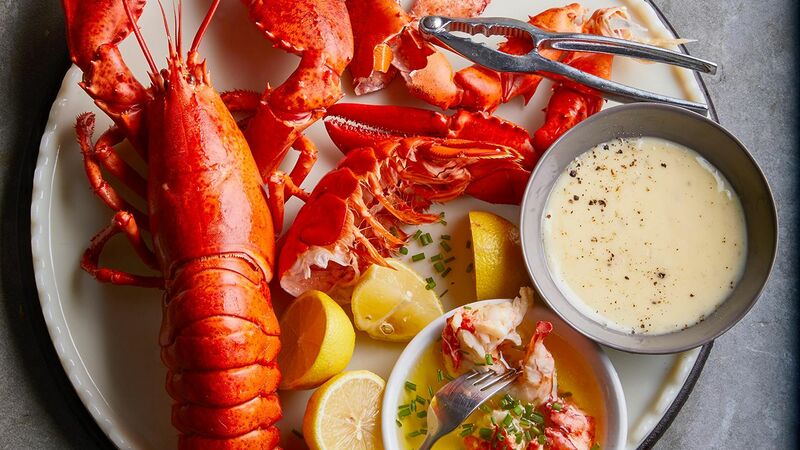 Make them up to a week ahead so you can enjoy them all week or have them ready to serve at a dinner party. 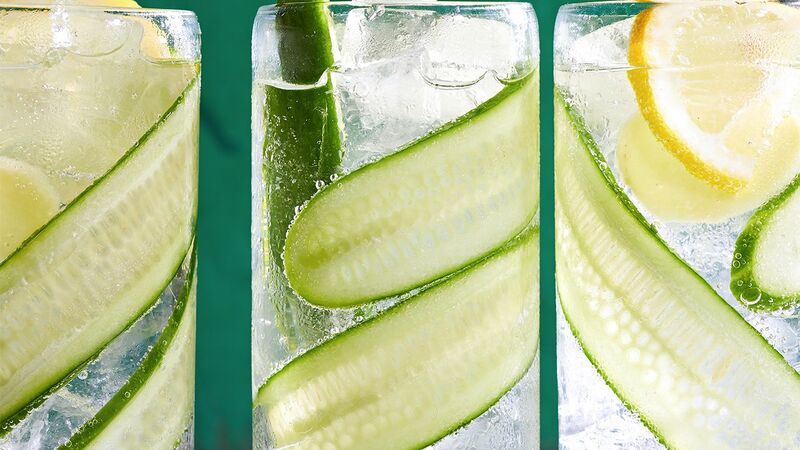 Mild cucumbers from your garden or the farmers market combine with the snap of fresh ginger is this refreshing garden cocktail. Gin and its best friend, Pimm’s No. 1 (a fruity spicy liqueur), pair in the boozy version. Or leave out the spirits for a nonalcoholic thirst quencher. Need easy peasy but want extra tasty? Puree a can of pickled jalapeños with carrots and onions as a marinade for chicken. A few hours later, mix the excess marinade into the dipping batter that fries up to a golden brown. 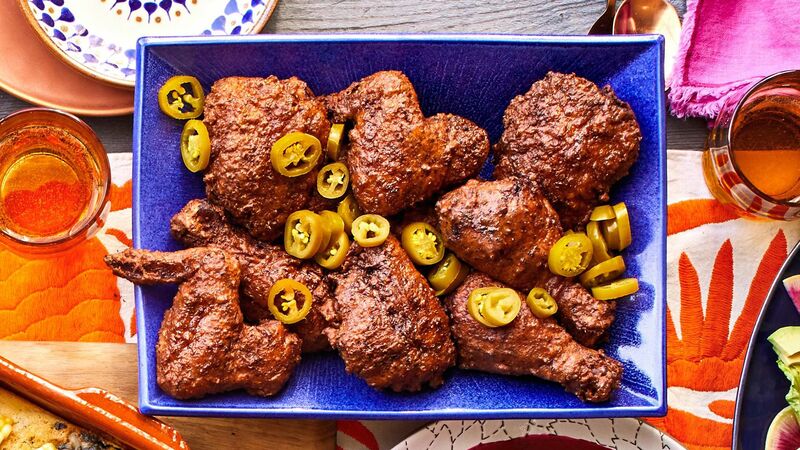 The jalapeños add heat to the crispy exterior and subtly flavor the meat. 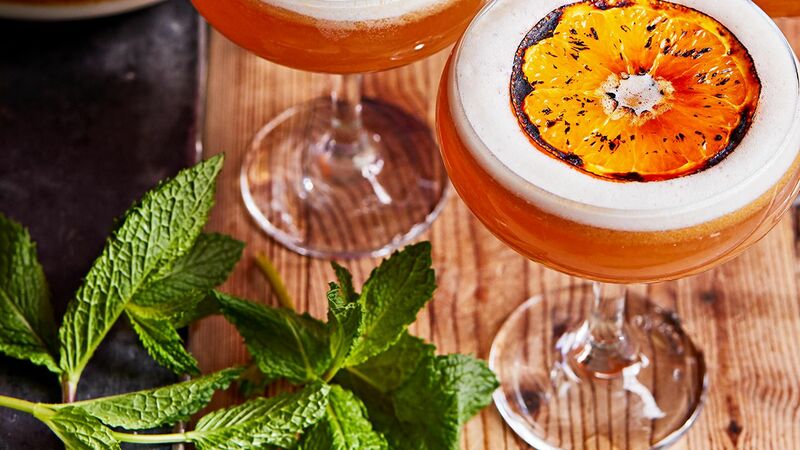 Brûléed orange slices garnish these tequila cocktails. (If you don’t have a kitchen torch, broil the slices in your oven.) They pair beautifully with this cocktail’s orange liqueur as well as amaretto, triple sec, bourbon ... almost every spirit we can think of. 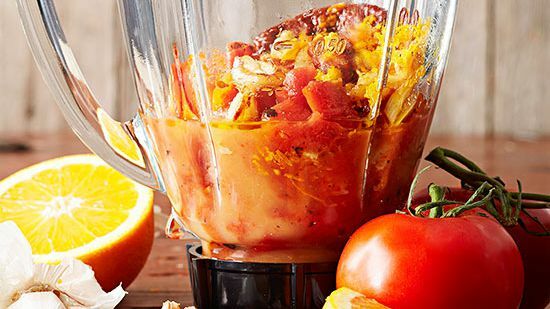 Try tequila in these delicious, unexpected ways. 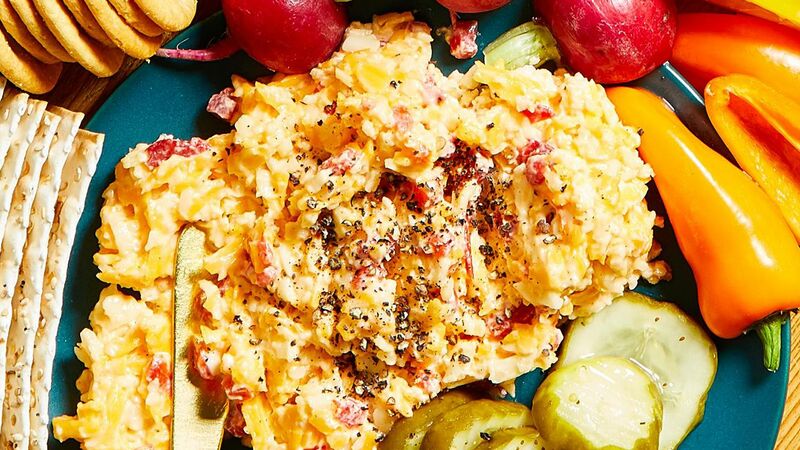 We gave classic pimiento cheese dip a smoky infusion by using smoked cheese as the base. If you have any leftover dip, try using it spread on a sandwich or stirred into mac and cheese. 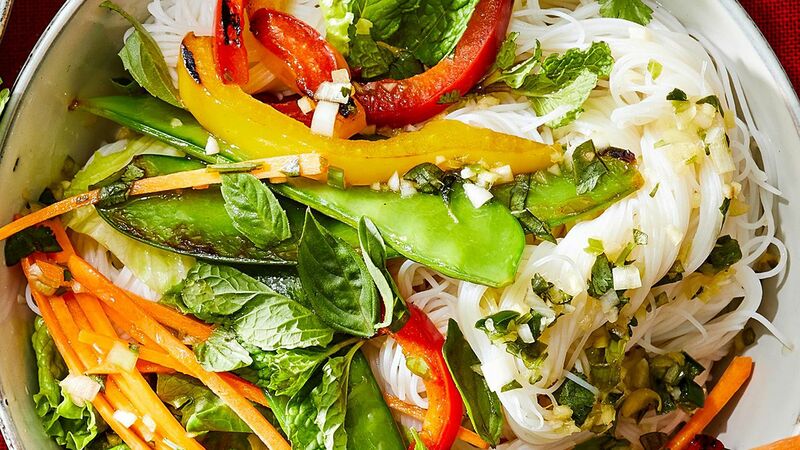 With so many veggies in this noodle bowl, we called it a noodle salad! The dressing explodes with flavor thanks to bold ingredients like fish sauce, rice vinegar, fresh citrus, and lots of fresh ginger. 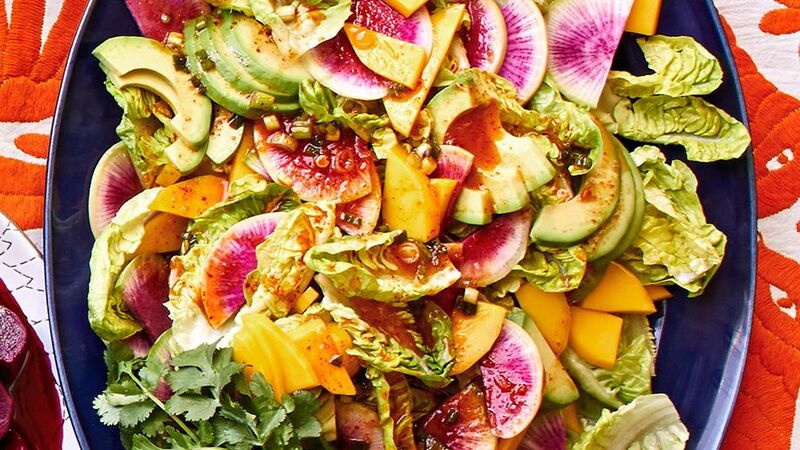 Yet more proof that veggies do not have to be bland. 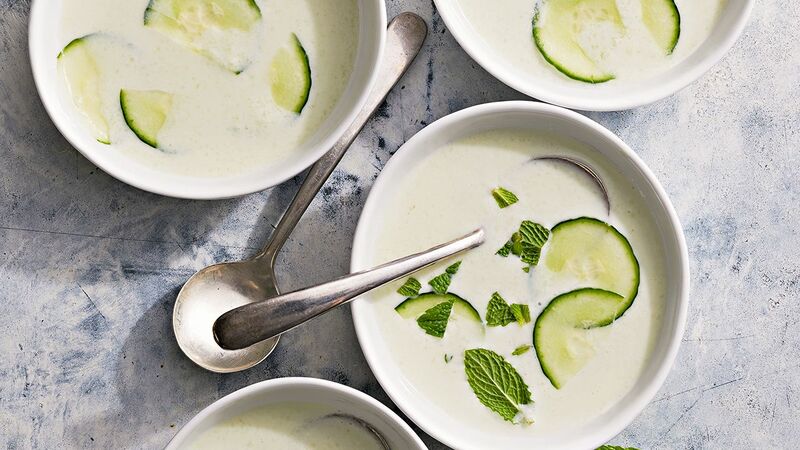 The ingredient list may sound like an odd combination, but we promise, the result is a delicately balanced creamy soup that happens to include ingredients like grapes, bread, cucumbers, and almonds. One bite erased any skepticism we had. 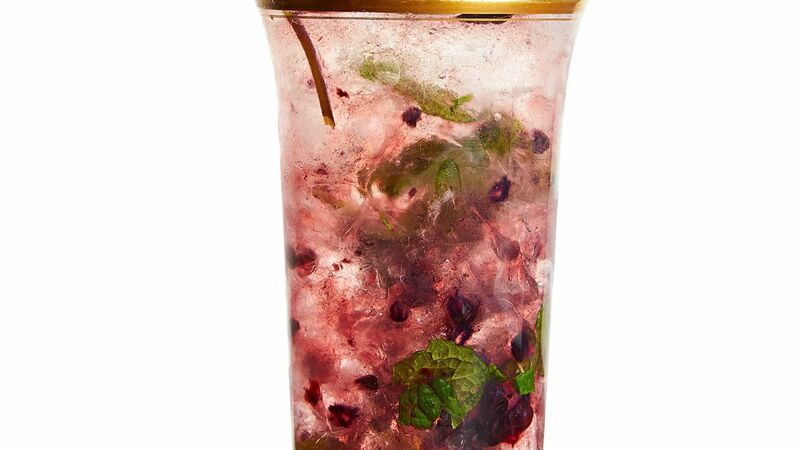 The classic Kentucky Derby cocktail gets a berry twist with the addition of a couple fresh blackberries. Don’t worry, there’s still plenty of bourbon and mint for julep traditionalists. Learn the tricks to the best ever mint juleps. 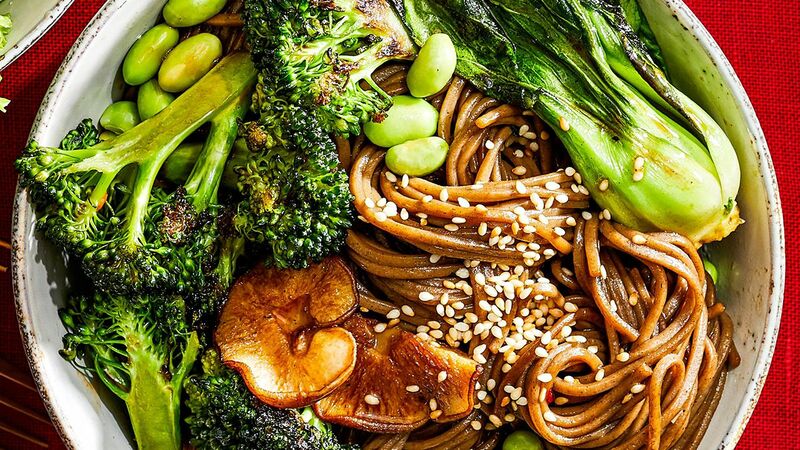 To make this vegetarian dinner recipe heartier and add a bit of protein, we added edamame. In combination with “meaty” mushrooms and noodles, this meatless entrée still satisfies with 15 grams protein and 7 grams of filling fiber. 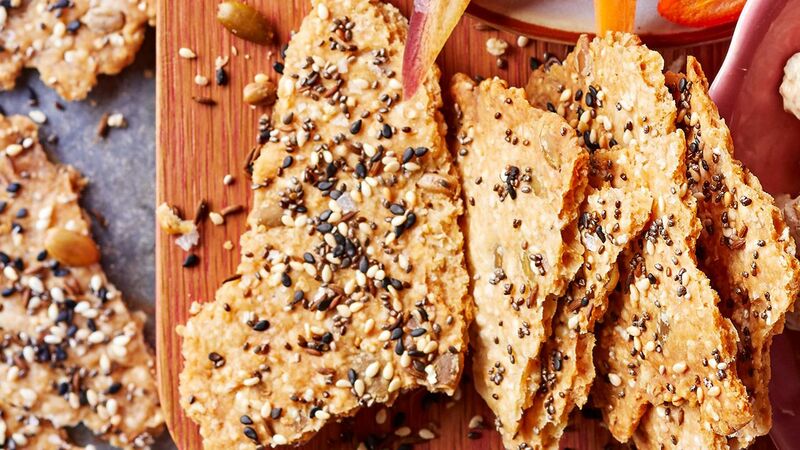 If you’re feeling ambitious, make Amaranth Crackers to serve with this clever veggie dip. The dip comes together in about 25 minutes after a quick charring of onions and carrot for roasted smoky flavor. Then chill it overnight. 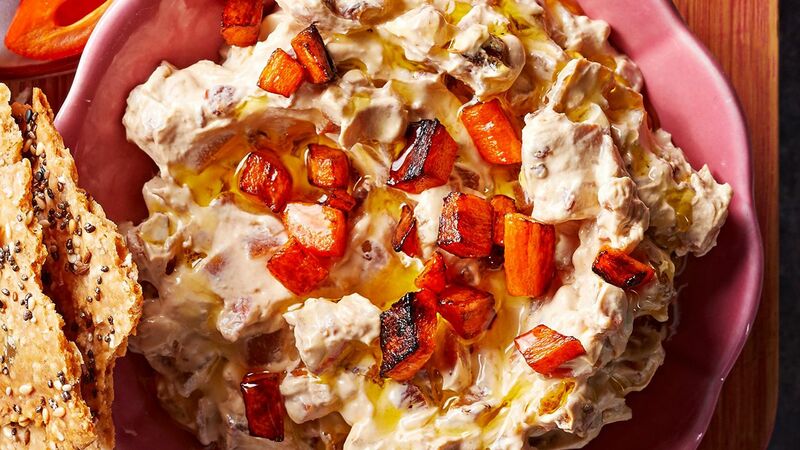 It’s a great make-ahead dip idea. 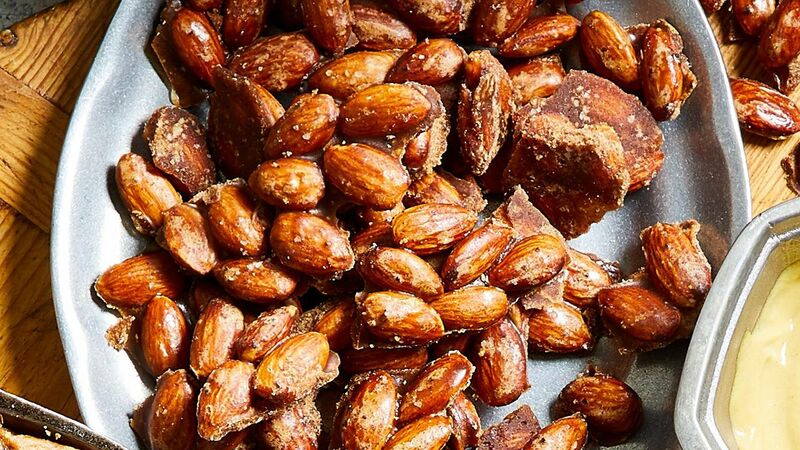 With six different types of seeds, this cracker recipe is for the birds (and seed-lovers). The dough is primarily flour, puffed amaranth, and oil, but pepitas, sunflower seeds, sesame seeds, and chia seeds add satisfying crunch and flavor and appealing looks. 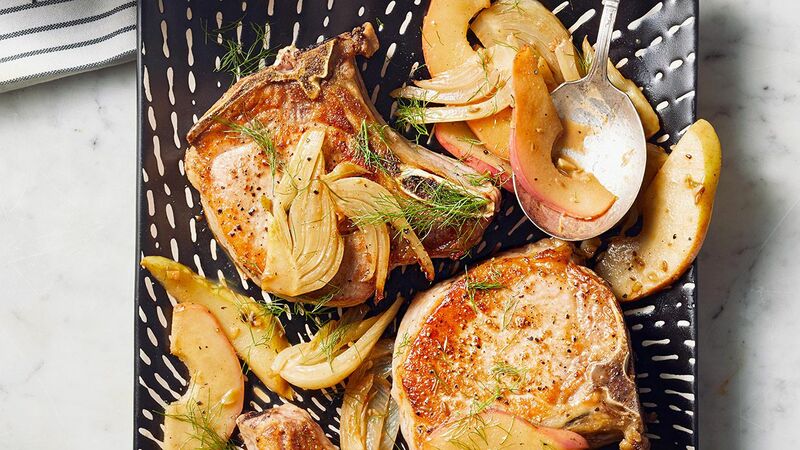 With only seven ingredients, you have a sauce that’s savory, citrusy, and smoky all at once. Spread it on tacos, chicken, fish, or whatever’s on the menu tonight. 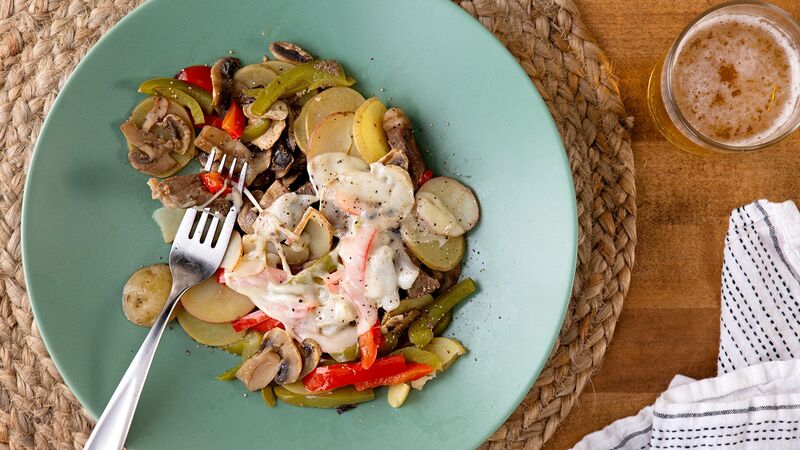 Any leftovers keep up to a week for all your other meals.